Dear brothers and sisters, may the Lord fill you with peace! It is that time of year when I should be writing about peace on earth and good will to men. Come to think of it, I am going to write about good will to men…or the lack of it. The last few things I have written have been on this topic but I am not getting through to the ones who need to embrace it. Frankly, I’m at a loss as to what to say now that will make a difference. I might be at a loss, so I’m turning this over to the Holy Spirit. Our Franciscan charism includes following the footsteps of St. Francis as they lead to Christ. St. Francis never made snide remarks about people not learning English or started a sentence with the words “those people”. Our Lord chose to be born poor, to live a humble life. At a very tender age, he fled death threats and took refuge in a foreign land with his parents. Imagine how frightened they were! How could you face God Himself if you weren’t able to keep His son safe? Would Joseph stand at the gates of Heaven and say, “I’m sorry, the Egyptians wouldn’t let us cross the border. After traveling in the dark of night with the demons of hell at our heels, we got to safety only to be turned back.” If that had happened, our salvation story would have a decidedly different ending. The world’s attitude has taken a giant step backward in the last few years. Being prejudiced, a bigot, or condemning someone else’s beliefs has become a treasured virtue to wear proudly and to be taken out and used at every and all opportunities. But, do you remember that little phrase we live by….we are in this world but not of this world. That is what sets us apart. Our eyes, our hearts, our feet and our actions should all point to Our Lord. There is a beautiful prayer called the Litany of Humility by Rafael Cardinal Merry del Val (1865-1930) which ends with “That others may become holier than I, provided that I may become as holy as I should…” A beautiful sentiment to embrace and make our own. 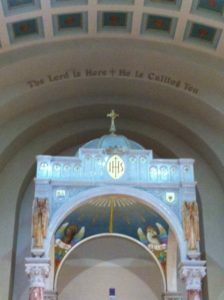 I sat in awe yesterday as three new souls made their profession to our way of life. This is what I want. This is what I want. Those words ringing out in the church brought joy and smiles to the Franciscan brothers and sisters who were witnessing their commitment. There is hope for all of us in each new Profession. May all those coming into our Order keep us on the path we subscribed to on our day of Profession. I’m also seeing a slow turn to embracing JPIC and actively stretching out God’s hand to those who need it. Praise God, may it continue! God cannot be present to those He holds dear if we are not willing to be His instrument. However we cannot be employed by God while harboring hatred and prejudice in our hearts. As a Christmas gift to yourself and those around you, take a long hard look at your own behavior. Who is your leper? You might just find out it is you. May you take a step closer to the manger this Christmas and embrace the family gathered there who are not your race, speak your language and have virtually no place to call home. Several months ago I started one of these posts with that famous quote “It was the best of times, it was the worst of times”. Right now all I can say is “It is the worst of times”. The entire world is in such turmoil and the news has to be followed not day by day, but hour by hour. Who has been shot, what has been said, who is supporting whom in the mid-term elections, how close is the caravan today? All of these scenarios can set off sparks between any two given people (or more) and set brother against brother and sister against sister. And it has been hitting me in the face for several weeks. And by that, I mean the actions and behaviors of some has cause a great deal of heartache. Certainly only a small number. but as usually happens, that small number of folks bang the gong loudly. And the din has risen to the top, obliterating the peaceful voices of most of us. “Christ accepted you, so you should accept each other, which will bring glory to God” (Romans 15:7). Why is this so hard? Why do we feel so righteous and superior to any other group of God-created people? And how, being a professed Secular Franciscan do we allow the hate to grow and fester? We are called to be better than that but that means better than the other’s bad behavior not ever superior. We who remain silent when comments are made and bigoted e-mail messages are forwarded are just as guilty. It is always easier to let someone else step up. Being peacemakers doesn’t mean keeping it peaceful for ourselves. No ripple in the water here! I’m not going to aggravate either side! We are called to make that ripple and on the day of our profession, we said “This is what I want”. Going from Gospel to life and life to Gospel has no room for ‘I’ll live the Gospel as long as I can still hate all Muslims’…..or make snide remarks about those who don’t speak English…..or decide who I want in my fraternity. We are all human, I get that. And at some point in our lives we have harbored ill feelings or thoughts against another group of people. But those who have matured in their faith and vocation have seen the error of that thinking and done something about it. Those who haven’t are holding onto their misconceptions like a badge of honor; not only wearing it proudly but advertising it whenever and wherever they can. Our faith is our anchor in these terrible times. But we upend that anchor with every hate-filled work and action. These actions damage not only our relationship with each other, but greatly damage our relationship with Jesus, His Holy Mother and Saints Francis and Clare. Who are we if we have thrown them away? If you see someone falling behind, walk beside them. If someone is being ignored, find a way to include them. If someone has been knocked down, lift them up. Always remind people of their worth. Be who you needed when you were going through hard times. Just one small act of kindness could mean the world to someone. That next to the last line: Be who you needed when you were going through hard times, speaks volumes to me. We have all been in some tough situations where some small act of kindness changed everything. When I was in that bad car accident in July, a man opened the driver’s door and reached in and took my hand. I never did see his face because all the airbags had deployed and I was inside that cocoon of plastic sheets, wires and broken glass. He calmly talked to me until the ambulance arrived and then slipped away when the EMT’s were trying to get me out of the car. I don’t know if he lived in the neighborhood and came out when he heard the crash or if he was driving by and stopped to help. When he reached into the car for my hand, he had no idea if I were black, white, Muslim or Jew. I don’t know his name, but I can tell you this, I still pray for him. And I pray that someday I might give that gift to someone else in need. That’s how it works, brothers and sisters. God shows us how and then helps us accomplish it. He is not present when we are spewing hurtful remarks or belittling a group of folks who are different than us……not better or worse………just different. We have tremendous opportunities these days to be the peacemakers, to light the darkness in someone’s life. We have asked to be instruments of peace. Can we allow God to play His healing melody through us? Take some time to ask Him. Both of you will be glad you took the time to visit. On Wednesday, I took myself to the movies and saw Pope Francis: A Man of His Word. I knew it only had one more showing at the Bryn Mawr Film Institute and yet I was dragging my feet about going. I told myself the week before that I was absolutely going to get there before it left the theater. But every day there were a half dozen reasons why it couldn’t be that day. It wasn’t going alone that bothered me. In the nine years that I have been widowed, I have learned if I want to do something….go do it! So to insure that I got there, I went on line and bought my ticket. Now that I had spent $$, I was much more likely to get there. And so I went. To my surprise and delight, the opening scene is about St. Francis. The movie hadn’t run more than 10 minutes when I was rummaging in my handbag for paper and pen. I wanted to write down everything the Pope was saying. I have loved Pope Francis from the day we saw the white smoke. After seeing this movie, I love him more. He is the definition of humility……and kindness…..and compassion. But he is not afraid to tell it like it is. The first thing I wrote down on a scrap of paper I found in my pocketbook was the Pope’s question: “Who is the poorest of the poorest of the poor?” Mother Earth! Because we rob her continually and don’t give back. Sounds like a Franciscan opportunity to me! The next note I have is “The Church is suffering from Spiritual Dementia”. Wow. He pulls no punches there. I take the message as the Church has forgotten where it came from. Go back to the grassroots of the church and look around. Yes, there were troubles and persecutions, but the Apostles didn’t worry about where they would sleep at night or where their next meal would come from. Carrying God’s love out to the people was all they could or needed to carry. Then my notes went to “We are a culture of waste. We look at the Earth upside down. We are not the Earth’s master but its caretaker”. Culture of waste, you can say that again. Every part of our lives has become disposable. Food, products, people…. even ourselves. How much do you value yourself? Enough to slow down? Another quote from the movie is “We run with the accelerator all the way down which ends up affecting our mental health, physical health and spiritual health.” I need to take some time to meditate on this one! I know there were many more jewels to be had from this movie and I wasn’t keeping up with my note taking. I want to see the movie again to hear what I missed the first time and to have what I did hear be reaffirmed. The movie ended beautifully with another scene of St. Francis. When I walked out of the theater, there was a woman standing on the sidewalk waiting for her husband to pick her up. She saw my Tau cross and asked if I had just seen the Pope Francis movie. When I said yes, we looked at each other and just sighed. We talked for several minutes and I found out her father had been a Secular Franciscan. When her husband pulled up, my new friend, Peggy, and I spontaneously hugged each other. It was a blessed moment. Two days later, I’m still feeling blessed. 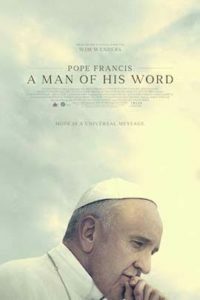 The movie isn’t being shown in many of the main stream theaters, but if you Google the title, Pope Francis, A Man of His Word, all the places which are showing it will come up. Do yourself a huge favor and go see it. You are worth it! 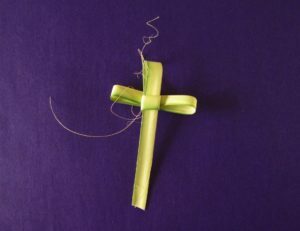 It’s Palm Sunday and I went to church today. Nothing earth shattering about that! I dawdled the morning away and missed my chance to go to the 9:00. When I pulled into the lot for the noon Mass, I was a little surprised that I got such a good parking space. Palm Sunday is another one of those days when people make a bigger effort to get to church. But it was only quarter of, still plenty of time for people to arrive. Shame on me! Had I left my Franciscanism at home? Why wasn’t I open to whatever was scheduled and embrace the opportunity to spend a little more time with Jesus? Because I was too all fired worried about my schedule after Mass and how it would be impacted. Shame on me again. Mass began; Father kissed the altar and then spoke a few words. “Today we celebrate the Lord’s triumphant entry to Jerusalem and we have not one, but two very special groups of people celebrating with us.” Did that groan come from me? Two groups??? Oh, brother! 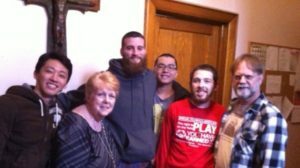 Father continued, saying “On my right are the boys and girls who will be fully admitted to the church at the Easter Vigil. Some will be baptized. All will receive their First Holy Communion and Confirmation.” These angels sitting in front of me were scrubbed clean inside and out and are so ready to join themselves with me and every other member of the church. The shame was starting to get a bit heavy. And Father went on to say, “On my left are my good friends from the Coffee Club”. The “Coffee Club” is Father’s name for the group of homeless folks he has befriended. He goes to Chester every week and treats this group to coffee and doughnuts, some kind words and enough dignity to get them through the next few days. Father often brings the group to church on special holidays and feasts. They attend Mass and then are invited to the church hall for breakfast that some volunteers provide. As I looked at this group, I could see that they were not scrubbed as clean as the little boys across the aisle. They had been picked up right from the streets and brought to church. I wonder who God was happier to see visiting His house…..the angels on the brink of joining the church, the homeless folks who came “as I am” or me, the Secular Franciscan with a Tau Cross around her neck and enough shame piling up on her head to want to crawl out the side door? How many Rules was I breaking? Article 5 of our Rule: Secular Franciscans, therefore, should seek to encounter the living and active person of Christ in their brothers and sisters, in Sacred Scripture, in the Church, and in liturgical activity. The faith of St. Francis, who often said, “I see nothing bodily of the Most High Son of God in this world except His most holy body and blood,” should be the inspiration and pattern of their Eucharistic life. I was sitting in the house of God with all these other people who had chosen to be there, too, and I was too blind to see that. Article 13: As the Father sees in every person the features of his Son, the firstborn of many brothers and sisters, so the Secular Franciscans with a gentle and courteous spirit accept all people as a gift of the Lord and an image of Christ. I have much to work on and although Lent is down to Holy Week, I still have the opportunity to make good on the Rule I professed to follow. That’s what makes our God such a wonderful Father. He provides a new opportunity each and every day for us to return to Him, step closer to Him, take His hand. At the Sign of Peace, I wondered if the young boys in front of me would be embarrassed to shake hands with a woman. There were no parents in the pews with them to nudge them into doing what they should. One young man turned around and extended his hand to me. And then all the boys in the two pews ahead of me all turned around and held out their hands. I’m sure they had no idea why there were tears in my eyes. But I do. And most especially, God does, too. May you walk closely with Jesus during this Holy Week. And on Easter morning, may your soul be bursting with the joy of the Risen Lord! Happy Easter, my dear brothers and sisters! How is your Franciscanism doing these days? Seems like a strange question. I’m not asking how you are doing, what’s new or what’s going on. How is your Franciscanism doing? Is it gaining weight or is it on a diet, slowly being lost, shed or forgotten? These are hard times to be a Franciscan. Everything is disposable, replaceable, or of little value. Got a better one? Throw the old one out. Can’t use all of that…chuck the rest. I recently read the newsletter from the Hospitalier Brothers of St. John of God. There was a statement that caught my eye – and soul. It read: These are difficult times to live a vocation in an authentic way; the operative word being authentic. What is the authentic Franciscan way of life? If people don’t notice something different about the way we live, we aren’t being Franciscan. Are we preaching the Gospel by our way of life…..the way we speak…..how we act? Are we being Franciscan in how we treat our secular Brothers and Sisters? If we can’t be kind to one another, how can we be kind to the rest of the world? Do we treat each other with respect? Do we return phone calls and answer e-mail? Everyone is busy; but, we all deserve the respect of having a message answered. There are no vacation plans in my foreseeable future, but I plan to take my Franciscanism on holiday this summer. My soul deserves some renewal and refreshment. With gas prices so high it is now in vogue to take a Staycation. – a word coined to mean you are staying home. In my day, we said we were going to Yardsville – and spent some happy hours in our own back yard. This summer, why not say your morning office outside in the early hours before the heat and hustle begins. Spend an hour with your Lord in a park or reflect on our brother Francis as you do some gardening. Francis walked around with wild flower seeds in his pocket. He is still planting seeds today. What seeds have you planted lately? We carry many in our hearts, but they are no good until they are planted and shared. So..how is your Franciscanism doing??? Some of you have heard about my friend Christy. We have been penpals for more than 30 years. We have shared much laughter and many tears in those letters and grew to love each other as sisters. Christy is serving a sentence of life plus 25 which was handed down when she was 17. I started writing to her a few years later. She is now in her 40’s and has spent more than half her life in prison. Last year I was able to go see her at the Iowa Correctional Institute for Women. It was a brutal schedule for me – I was making the trip there and back in one day. God smiled on the entire day, but there is one moment that stays with me more than most. Joining us during the visit was a woman named Ivey. 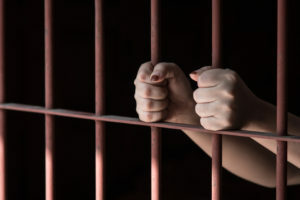 She had been Christy’s cell mate when my husband was first diagnosed with cancer. Ivey sent cards and letters to us, offering her prayers and support. She was released from prison three years ago, but we have stayed in touch. You are only permitted to take two items into the prison during a visit. One is your picture ID, which is held by the guards until you leave, and the other is change for the vending machines. Ivey arrived clutching a Ziploc bag stuffed with change. I must admit here, if I met up with Ivey on a dark street, I would have made it a point to keep my distance. To my shame, she seemed to fit what my idea of a woman prisoner looks like. When we decided to get something to eat from the machines, I intended to empty my bag of change and pay for everyone. Ivey had other plans. “Whatever you want, Miss Kate, I’m going to treat you”. No, no…I couldn’t let her do that. After all….I was in a better position to pay than she is, I have a better life than she does. I am….better???? Shame on me again. The lesson is – sometimes you are the servant and sometimes you need to be served. Ivey was so proud that she was buying a meal for me. We feasted on a banquet of junk food and every mouthful was delightful. Ivey’s face shone with pleasure. As for me…along with those potato chips, I was eating a good portion of humble pie. P.S., After more than 32 years in prison, Christy will be walking out the door of that prison on Monday, June 5. Her release has been many years in the making with enough ups and downs to give you a whiplash! Imagine being isolated for all these years and then suddenly being free in this world…..this world! She will truly be an alien in an alien land. I would be so grateful if you could say a prayer or two for her.